Fabric with carbon fibres. Extremly hydrophobical, compresses and stabilizes. Has superior anti-friction attributes. The elite athletes are really impressed! The carbon fibre provides a revolutionary energy storage that gives power back for stronger kicks and turns. Carbon-Air brings the benefits of the Intelligent compression coupled with an unbelievable lightness of the suit provided by a sleek construction. By integrating Carbon Fibre Bands into the horizontal weave of the ultralight Carbon Air, the full power of Intelligent Compression is unleashed. These superior features combine to make the Carbon Air especially easy to put on. Powerskin Carbon Air, Arena’s ultra lightweight racing suit designed to set a new, unbeatable standard for intelligent compression and incredible comfort. 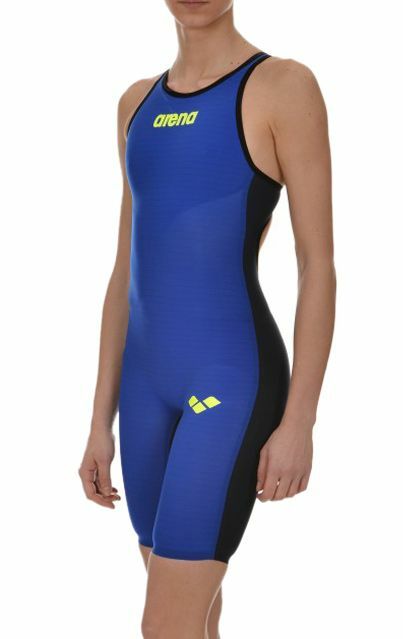 PLEASE NOTE: This suit has been fully approved by FINA.